Thinking of buying a new lawnmower? Electric, gas, ride on, human-powered? There are many options, but in this article, I'm going to consider the pros and cons of electric lawn mowers. Why? Because I have owned many of them since becoming an adult some 32 years ago. I'm going to try to make this fun, with hard facts intertwined with personal experience and anecdote. I may throw in the odd amusing quip too, bit too early to say yet! Over here in the 'old country' (England) electric lawn mowers have been around a longggggg time. Even going back the 1950s, heavy cyclinder mowers were built to use electricity as the mower source. I remember my grandparents having one. Big old grass box on the front, heavy roller on the back, with a shiny chrome lever to up the revs. I can almost see my grandfather pushing it around the garden, avoiding the apple tree as he went. 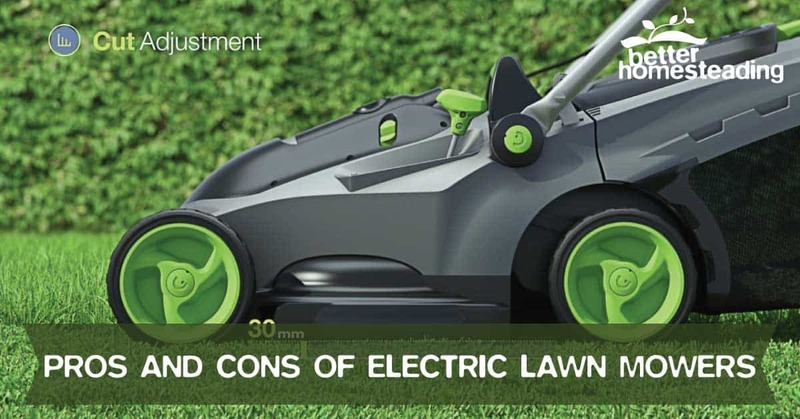 Pros And Cons Of Electric Lawn Mowers - A General Guide. Who Is An Electric Mower Best Suited For? Should YOU Buy An Electric Mower? Modern electric lawn mowers are of a different breed on the hole. Sure, you can still spend some decent money and get an electric reel mower (like this one), but the cheap, mass produced rotary mower has taken over. Low on quality with a built in ife expectancy of a few years, you get what you pay for....almost always. Being an English lad, I have much experience with electric, gas/petrol powered and indeed, manual push mowers. Electric mowers are big business over here, models like the Flymo and the Qualcast Concorde to name just two. These models are well known brands positioned as the leaders in low cost lawn care. "It's a lot less bother than a hover.." was the catchy marketing tagline used by one company to position themselves as the industry leaders back in the 70s and 80s. Well, to be honest, I have found every electric mower that I have used a significant amount of bother. I'm currently using a reel mower, one of those manual push ones designed in the mid 1800s with little design change since then. But hold on, surely electric lawn mowers have an upside don't they? Perhaps, let's find out, but first, our last 5 years with an electric mower....grrrrr!!!! When we moved back from Australia towards the end of 2010, we bought a lovely village home with a moderate sized garden. It was a mess. Sloping, boggy, with multiple ponds and plants growing in the most unexpected of places. It was a jungle to be frank, unkempt and neglected. If it had been a wild permaculture garden, I'd have leapt for joy. It wasn't! We needed a mower and had sold our 2 petrol/gas ones, and the ride-on when we left Australia, no room in the container for that stuff. What to do? Not a lot of spare cash but a lawn (if you could call it that) that needed mowing. We did what all self-respecting homeowners do. Went onto Amazon and bought one. It arrived the next day (the wonders of Prime) and I assembled the thing. First problem, the cable is never long enough. Unless you have a postage stamp of a lawn outside your back door, or are strategic enough to have multiple outside sockets scattered around your garden, you're going to need an extension cable. I had one, set it up and began to mow. The Flymo is touted as a 'hover mower'. The rotary blade and fan assembly which attach to the motor drive shaft are supposed to create a downdraft that lifts the grass for cutting and allows the mower deck to float across the lawn and mow the lawn professionally, purportedly with the grace and elegance of a hovercraft. Hmmmm...........what total crap! The thing didn't hover, the lead kept getting in the way, the excuse of a grass collector needed changing every 2 minutes. I got hot and bothered, swore somewhat and called it a day with half a lawn butchered, the other half looking like a reed bed from the Florida Everglades. That effort and generally harassed feeling continued until the summer of 2016 when I swapped my electric mower for a human-powered one. Yep, a push reel mower that cost me the equivalent of $85 and is a shear joy to use. You can read this article about the pros and cons of reel mowers for more information. Anyhoo, back to the electric mower review. It wasn't just me who suffered. In fact my wife suffered the most. Because I hated it so much, and she hated an unkempt lawn, that for 5 years, she did almost all the mowing. Dragging out of the shed, getting the leads set up, pushing and dragging this non-hovering hover mower until she had a face like a beetroot. I did used to take cold drinks out for her though, what a guy! That's a personal story, but it's only about one type of electric lawn mower. There are always pros and cons to anything you purchase to do a specific job. Advantages and disadvantages, benefits and limitations. So it is the same with electric mowers. There will be some benefits and disadvantages that are valid across electric mowers as a species, and others that are only relevant to particular models. Let's look at some generalizations first, and then take a peek at a couple of the most popular models and see how well they stand up against each other. Battle of good versus evil. My cheap push reel mower vs the Flymo hover electric mower. Let the battle commence. 1. Cheap, with plenty of model and brand options to choose from. It is however, hard to find high end electric-powered mowers like you can for gas models (and even manual reel mowers). 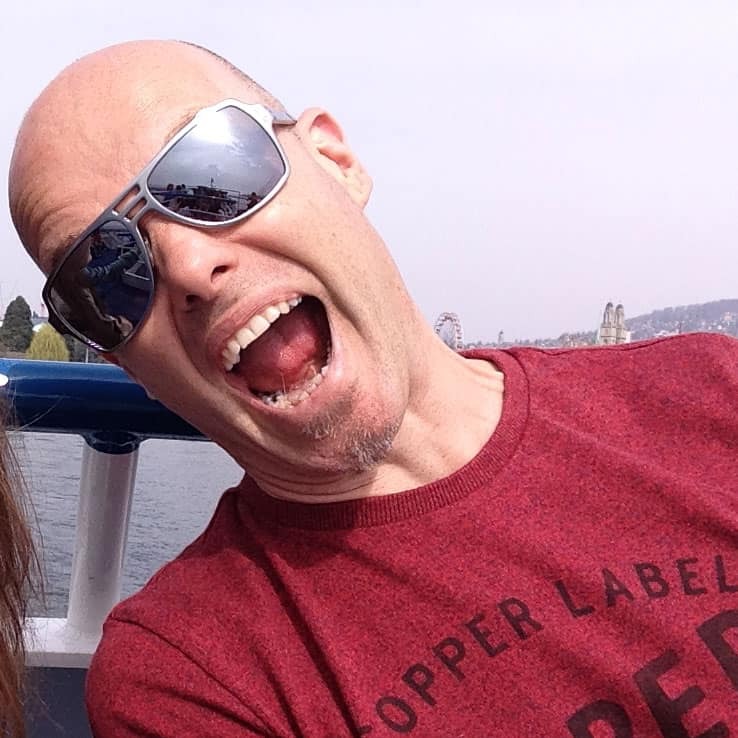 With 'cheap and cheerful' becoming the fallback position of many product manufacturers all over the world, where maximizing profit and minimizing production costs over build quality and longevity is par for the course, you do have to be willing to accept average quality. Personally, I am much more a fan of getting something that is old and was made well (vintage kitchen and garden products that can be overhauled), OR spending a little more money on something from a company that deals in quality with a smaller production volume, but much better quality and customer service. 2. Reliable - Far less ongoing maintenance than a gas powered mower. Other than an electric motor and some switch mechanisms, you'll find little that you can actually maintain yourself with an electric lawnmower. Most of it is a sealed unit. Changing blades can be accomplished at home, I even replaced a dodgy on/off switch, but if they go wrong, it's generally a trip to the mower guy or a brand new one. This grinds with me a little as I am not big on the throw away society view, preferring to buy a decent mower that can be repaired as needed, and will last me for many years, ideally, a lifetime! 3. Simple - An electric motor powers the mower, no need for fuel tank filling or spark plug replacement. No maintenance to do on these really. Removing caked grass from the underside of the mowing deck, checking the blades for signs of damage. That's about it. Great for the person who just wants to mow, but as per the above paragraph, if something goes wrong, it's a trip to the machinery repair shop. 4. Lightweight when compared to gas engine powered lawn mowers. 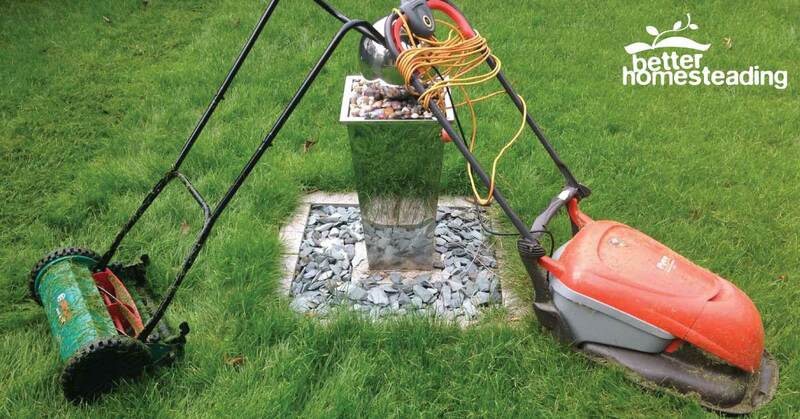 You ever tried lifting a gas mower up a couple of steps to get it to your lawn? I have a terraced garden and it would be a nightmare. My wife certainly couldn't lift it. Electric mowers are relatively lighter than their gas brethren, but still weighty. If you end up with a hover mower like we did, they don't even have wheels, so no chance of pushing it from A > B. 5. Less noise pollution - Much quieter than combustion engine driven mowers. Electric mowers are pretty quiet, generally no more that a whirring sound, which means you can mow in the morning or evening withouth the risk of a noise complaint of a brick through your window from a disgruntled neighbor. 6. Fume free operation. No exhaust emissions from electric motors. Although you're unlikely to be mowing in an enclosed space, reducing exhaust fumes is a good thing, and likely better for the environment. I didn't mention environmental factors as a benefit here because there are massive issues around the use of fossil fuels, with coal-fired power stations producing a large amount of the electricity used in homes around the world. So you may reduce emissions directly when you use your mower, but the environmental cost of producing that electricity is still high. A human-powered mower does away with both these issues, and is perfect for the homesteader or environmentally conscious lawn owner who wants to do their bit for the planet. 1. Requires a nearby electricity supply. Extension cables are often used and generators are also a possibility. The cord is never long enough. You almost always need an extension. Wish they would just add another 10 meters to the length. 2. Cables prone to getting under your feet and in the way. Constantly needing to move the electrical lead. This is a pain in the a**. Whichever way you go, the cord always seems to be there. Mowing with a corded mower is almost a 2 person job. 1 person to push the thing and the other to prevent the cord getting tangled around their legs. Seems like minor point until it becomes a major gripe. 3. Safety - Although fitted with safety cutouts, the possibility of severing the cable is very real. Huge amounts of people are injured by lawnmowers every year, with around 600 kids suffering amputations in the USA alone. Those are some numbers. 5. Narrow cutting strip. Electric mowers tend to cut a relatively thin strip, which necessitates overlapping mowing patterns. For any mower purchase, it makes sense (in my view) to go for the widest mowing width that you can afford, which does come with extra weight of course. 6. Rotary bladed mowers damage the grass. Most electric lawnmowers are of the rotary variety and chop/hack the grass rather than cutting it cleanly. A reel mower cuts the grass like a pair of scissors. Clean cuts reduce the chance of disease and pest attack. They are definitely not the best lawn mower for Bermuda grass or Zoysia grass either. These tough grasses do much better with a reel or gas rotary unit. If you have a small lawn or yard, with just a 10th of an acre or similar, an electric mower could work fine for you. A good one (not that many of those about) can be perfectly effective, but the cord limitations tend to make mowing large lawns an effort. You have mains power close to hand. The integral power cord is never very long, but if you have a small lawn close to the house, or waterproof sockets on an outbuilding or mounted around the garden, you'll probably be fine. Otherwise it's a 20m extension cord and be done with it. If you are on a budget and have a small yard and a relatively level lawn, I would certainly urge you to consider a manual push mower. There are really easy and quick to use if you keep up with the mowing regularly. We find it a lot easier than the electric one, setup is quick, there is no sweating or grunting as we lug the mower around the garden. The grass looks better, and for us, there is no contest. With a larger lawn to mow, then an electric really won't cut it (excuse the pun) and I'd be looking at a gas rotary mower or a ride-on if the area is large enough. Electric mowers work, no doubt. But to be honest, I think they are trying to fit a gap in the market that doesn't really need to be there. Small level garden, push mower. Larger space, gas or a zero turn mower. The electric mower just feels like an unnecessary burden. But that's just a person view, it's your call.